June 8, 2012 , Auburn Hills, Mich. – Neil Wedeking of Marble Rock, Iowa, was named the second 2012 Mopar “Top Eliminator” winner for his 1970 Plymouth AAR ‘Cuda during the 28th Annual Midwest Mopars in the Park car show in Farmington, Minn., on June 2–3. Wedeking’s car was chosen from the more than 1,200 Mopar vehicles on display at the event. Mike Driehorst- October 11, 2011 10:09 AM- White is the most popular color for new vehicles. That’s according to a story last week by The Detroit Bureau (quoting from a PPG survey), as well as current data on new Chrysler, Jeep®, Dodge, Ram and SRT 2011 and 2012 model year vehicle sales. But the Chrysler Group‘s Communications Facebook Page and Chrysler Twitter communities have slightly different preferences for their new vehicle colors. We’ll give you those stats, but first let’s look at those doing the buying. For this post, I didn’t gather numbers but you can see that, as in the national survey, white, black and silver are in a pretty close race for most popular color honors. From the Chrysler Communications Facebook and Chrysler Twitter communities, we received more than 60 replies, with at least a few people offering up two answers to the question (first posted Wednesday): If you bought a new car/truck/SUV, etc., right now, what color would it be? Other favorites included gray, silver, yellow, tan/light brown and fuscia. If you want to add your colored two cents, please leave a comment. Mopar distributes approximately 280,000 parts and accessories in more than 90 countries and is the source for all original-equipment parts for Chrysler, Jeep, Dodge and Ram vehicles. 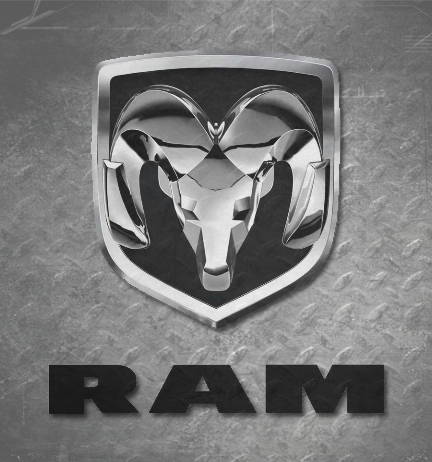 Mopar parts are unique in that they are engineered with the same teams that create factory-authorized vehicle specifications for Chrysler, Jeep, Dodge and Ram vehicles — a direct connection that no other aftermarket parts company can provide. A complete list of Mopar accessories and performance parts is available at Mopar.com. “Under the Pentastar” is a quick video recap of significant events at Chrysler Group LLC over the past week. Stories in this week’s edition include new incentives, Toledo Assembly Complex statement, back-to-school with the Fiat 500, Chrysler Canada Family Day and a glorious weekend for NASCAR’s Dodge Boys.